IPC is the Technical Industrial Centre of the French plastics and composites industry cluster, with more than 3000 SMEs directly connected to IPC. As such, IPC is in charge of providing the plastics and composites industry cluster with innovative and high added-value facilities and manufacturing platforms, cutting edge expertise and services. IPC covers the full industry value chain with its key fields of expertise include design and simulation of parts and processes; advanced injection moulding and tooling; thermoplastics materials; composites materials; plastronics. Main markets addressed today encompass automotive, aeronautics, health, packaging, connectors, house appliances, and watch-making. Developing new value chains is a key strategic issue with focus e.g. on micron / sub-micron structured plastic parts, microsystems on plastics; smart composites; multi-materials additive manufacturing. 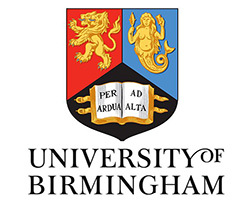 The University of Birmingham (UoB) is a public research university located in the United Kingdom (UK). 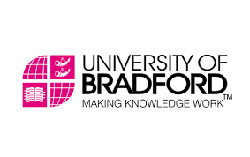 Established in 1900, UoB is a major international university and a member of the Russell Group of leading UK universities as well as Universitas 21, a major global association of research-led, broad-based universities. The results of the UK Research Excellence Exercise 2014 confirmed that the UoB’s research power has global reach and rated 89.9% of the University’s research activity as ‘world-leading’ or ‘internationally excellent’. The University actively promotes links with industry and commerce in the West Midlands region and beyond through research consultancies and works in partnership with leading organisations to make breakthroughs in health, engineering, environmental science and other research areas. It has approximately 30 000 students from approximately 150 different countries. The Manufacturing Research Group (MRG) in the School of Engineering and Birmingham Surface Engineering Research Group (BSERG) in the School of Metallurgy and Materials the will be involved in this project. The Research and Knowledge Transfer (RKT) Centre for Polymer Micro and Nano Technology (Polymer MNT) is a facility within the world-class IRC Polymer Engineering laboratories at Bradford which specialises in developing new processes and technologies for volume manufacture of a range of devices requiring micro- and nanoscaled features for advanced functionality. 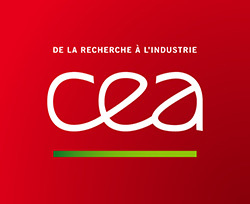 CEA (liten.cea.fr) is the French Alternative Energies and Atomic Energy Commission. It is a public body established in October 1945. A leader in research, development and innovation, CEA is active in four main areas: low-carbon energies, defense and security, information technologies and health technologies. In each of these fields, CEA maintains a cross-disciplinary culture of engineers and researchers, building on the synergies between fundamental and technological research. CEA will be involved in the project through its Liten institute (Laboratory for innovation in new energy technologies and nanomaterials). Liten has a staff of 1000 people, puts in place every year 400 research contracts, and carries out R&D on behalf of industrial partners from a wide range of market segments: energy, land transportation, aerospace, construction, civil engineering, environmental, and IT industries, amongst others. Intellectual property forms a major part of Liten activities. Liten has a portfolio of 1,300 international patents, and has filed 231 patents in 2015. Georg Fischer Machining Solutions is a leading provider to the tool and mould making industry as well as for manufacturers of precision components. The core businesses are EDM, Milling, Laser, tooling, automation and customer services. GFMS provides complete and dedicated machining solutions offering a wide range of services thanks to its multi-technology portfolio. GFMS represents a key stakeholder in terms of digital texturing of metallic surfaces and one of its main strategic objectives is to offer turn-key solutions to the expanding mould making segments for applications in ICT, Medical, Automotive, and Aerospace industries. 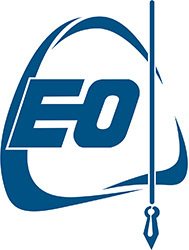 EO is an SME devoted to the production of tools and components for orthodontics since 1973. It employs around twenty direct working personnel, of which 62% are women, devoted to the manufacturing and testing of dental brackets, arc wires, other intraoral and extraoral components, clinic instruments and laboratory instruments for dentistry. EO also has its own sales network, CEOSA, which is devoted to selling its own manufactured products (60%) and also imported products from USA (40%). Its sales incomes are approximately 2 million €. Sales of dental brackets produce 45% of its turnover, however dental brackets determine sales of the auxiliary products, so this product can be said to dominate the market. One of the owners of the company is Dr. Cervera, a prestigious dentist, who has patented his own orthodontic method (method Cervera). EO has the legal authorization from the Spanish Health Ministry to produce new developments. Their interest in HIMALAIA is due to the perspective that the future of the company, and in general the future of European orthodontic companies, will be based on the developments of new, high-tech products. Centro Ricerche Fiat, founded in 1978, has the mission to develop and transfer innovative products, processes and methodologies in order to improve the competitiveness of the products of the Fiat Group. Also through the cooperation with a pan-European and increasingly global network of more than 1700 partners from Industry and academia, CRF conducts collaborative research initiatives at the national and international levels in partnership with all the key public and private stakeholders. CRF develops research and innovation along the three principal axes of sustainability. Environmental Sustainability encompasses all aspects relating to energy efficiency as well as to the reduction of the impact on the environment over the entire lifecycle. Social Sustainability focuses on the safety of transportation systems through the development of active, passive, preventive and cooperative solutions. Economically sustainable competitiveness is oriented towards viable innovation, i.e., improving the performance and functionality of new vehicles in a cost-effective manner. 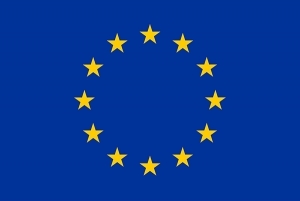 CRF participates with a leading role in several key European Technology Platforms including: ERTRAC (road transport), EPOSS (smart systems), EUMAT (materials), MANUFUTURE (manufacturing), each of which has proved to be particularly effective at bringing together key stakeholders within an Integrated Approach to research and innovation. Albéa is one of the world’s leading packaging companies providing a wide range of solutions for cosmetics, fragrance, skincare, personal care and oral care markets. Headquartered in France, Albéa employs 16,000 people and operates with 39 manufacturing facilities in 15 different countries across Europe, the Americas and Asia. The company turnover was 1.3 billion € in 2016. Our product portfolio includes plastic and laminate tubes, mascaras, lipsticks, lip glosses, compacts, plastic closures and shells, spray-caps, jars, lids, pumps, cosmetic accessories, bags and promotional items. Alicona Imaging GmbH is a manufacturer of high precision optical surface metrology equipment. The company has obtained several national awards in recent years (best national start-up company, special award for distinguished export activities, and fast-forward award for special innovations). Currently, the company has a range of different measurement systems covering laboratory as well as production measurement units. The systems are used for metrology tasks in fields like micro manufacturing, surface quality control or tribology. Alicona has been founded in the year 2001 and has been constantly growing since. Worldwide Alicona employs 95 people, 28 of which in the research and development department. Alicona has a lot of experience in 3D measurement in general and with rough and complicated objects (broken parts, tools) in particular. The company has a lot of expertise in the field of surface texture characterisation and is part of ISO committees that are operating in this field. Alicona is ISO 9001:2008 certified. Wavestone is a consulting firm with 2 500 employees on four continents, which provides adapted solutions for innovation, IP and complex R&D management, strategic issues (corporate strategy, business strategy, product strategy, IT strategy, business planning, etc. ), transaction services (acquisitions, valuation, post-merger assistance, etc. ), transformation management (complex program management, lean management, information system master planning, etc. ), and operational performance (business process re-engineering, operational functions transformation, etc.). Wavestone’s clients are prominent public and industrial organizations from a full range of sectors. The Innovation Management and Funding (IMF) team includes 50 consultants with scientific, technical and financial backgrounds including scientific PhDs, engineers, economists, business oriented experts, etc. The IMF department combines EU coverage with in-depth local and sectoral knowledge of the management and financing of complex R&D and innovation projects.